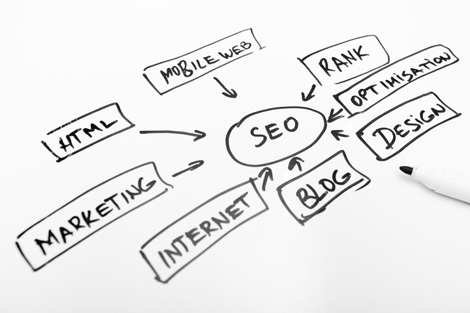 For years I have been trying to find the best way to show clients and prospects the benefits of SEO. Not because I want to build our company revenues, but purely because I believe that for most companies Search Engine Marketing is the best and most effective way for you to grow your business. Perfection is difficult to find, but that has been the goal. Part of this quest has also been to show the results in a manageable, organised and easy to understand structure. So we have spent much of our time recently on getting the reporting system working well for each individual client, personalised for your company. This is difficult but important work as it is vital for you, the client to understand what is happening now and what growth could be achieved with relatively small amounts of effort. It has been mentioned to us that our reporting system in the past has been difficult to understand. We have been researching for months to find the right system and we have found it. To get the right strategy for your online marketing will always involve the skill of an SEO expert, but what this new system gives us is quicker ranking results, so we have more up to date information, which allows you to make quicker and better decisions. Also the reporting system will now give you better information, much quicker than in the past, and laid out in a way that helps you to see clearly and quickly how your website is performing, so we can all make better decision on how we can improve to beat the competition. Your monthly SEO fee pays for us to track all the statistics and create these reports. We add some advice sometimes and we tweak some of the code now and then if we think it would help. However, you must realise by now that SEO can get more specifically targeted traffic to your website as well as get you more sales. To maximise this opportunity we have to work together to make the most of this valuable information. Some of our clients have understood this and have asked us to go to the next stage. They have seen results very quickly, and the return on their investment has made enough profits to increase their SEO budget to make even more profit. We could do this for you too, and really make the most of this great marketing information. If you are ready to make more of Search Engine Marketing to help your business grow, please contact me below, or call me on 07968 185544.